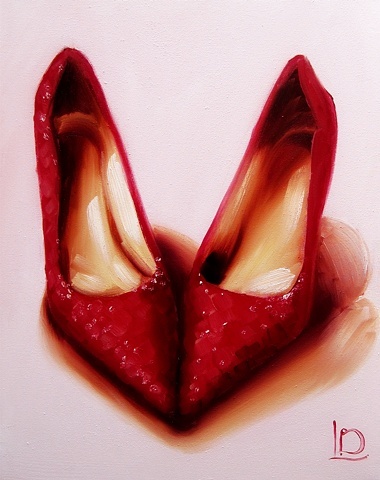 These gorgeous red heels, covered in glitter sparkles, have there toes pointing together- forming a heart shape. The background is a pale lavender colour, and the warm shades of sienna inside the shoes creates a gold effect. This painting is on a gallery wrapped canvas (the sides are white and staple free) so there's no need to frame the artwork.